Have you ever tried mindful writing meditation exercises? In my experience, they’re absolutely brilliant ways for writers to boost creativity and to increase focus. Plus, they are tons of fun. I am constantly surprised by how closely writing and meditation relate to one another. Meditation makes us better writers. Writing makes us better meditators. And it’s not just meditation either. Recently, lots of famous writers have opened up about using yoga for creativity. Somehow, exercises like yoga and meditation make us much better writers. So let me share with you my favorite mindful writing meditation exercises. I’m going to presume that you already know just how darned brilliant mindfulness exercises are for your health and for your happiness. But what you might not know is that you can do mindful writing meditation exercises too. There are so many benefits of mindful writing exercises for writers. And it seems a lot of writers are starting to realise this. Writers are meditating like never before. In fact, of all professionals, writers are the ones most likely to practice the mind-training exercises. If you’re a writer, I bet you’ve practiced some types of meditation, and you have probably tried some mindful writing exercises too, right?. Somehow, writers just seem naturally drawn to meditation. (That must be why there are so many spiritual blogs). But why are so many writers meditating? As a meditation teacher and novelist I’m often asked about using meditation for creative writing. That’s a good thing. Because there are so many ways in which meditation improves creative writing. To illustrate the value of meditation to writers, let me share a personal story. It’s a time when I personally needed to use some writing meditation exercises to help me with my novel. I was recently working on my latest novel, a young adult fantasy (can’t give much away, sorry). My head had been buried in my manuscript. I’d been writing non-stop for a long time. Suddenly I realised that I wasn’t thinking clearly and that I was working in the fashion of an automaton, punching the keyboard without thought. I needed to clear my mind. I needed to sit and focus. So I sat for twenty minutes meditating. And hey presto! after a mere twenty minutes I suddenly realised a crucial plot point in my novel, a twist that made the entire 75,000 word manuscript much, much stronger. I really wish I could share that plot point with you, but my book is currently with the agent and I’m not allowed to discuss it until it’s complete, so I’ll have to wait for now. Suffice to say, the plot point I added brought the whole thing together. I can honestly say that I would never have realised the change I needed to make had I not meditated. That’s just one one of the benefits of meditation for writers: it helps you notice things. Meditation cleared my mind, made me look at my novel through fresh eyes, and gave me the insight I needed to truly finish my work. And that’s just one of the times that meditating had helped my creative writing. In truth, meditation has been the backbone of my writing for a long time. I always find that I do my best creative work after meditating. I need a blank page in my mind before I can fill a blank page on the screen. And that’s precisely what meditation gives me: a blank page. But there are a lot more benefits of these writing-meditation exercises for writers too. Let’s take a look at the list of exercises first. Then we’ll discuss the benefits of these exercises. In my personal experience as a meditation teacher, the following are the best meditations for writers. 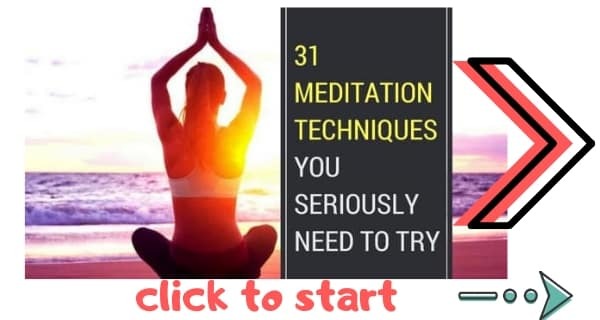 You can learn about all these methods in my guide to the top 31 meditation techniques. Breathing meditations are the best place to start when you’re learning meditation. Sit somewhere quiet and relaxing. Tell yourself you are going to just sit and focus for 5 minutes. Focus on the sensation of your breath moving around your body. Notice how you are now very relaxed and focused. Vipassana is essentially insight. This technique helps you to recognise and understand your thoughts. b) make you more aware of thoughts, which can help with characterisation (especially in first person writing). If your mind wanders to a thought, say “this is a thought”. This technique trains the mind to be more aware of when it is wandering off. It teaches us to regain our focus quicker (meaning less wasted time at the keyboard). I use Zen Walking Meditation for one very simple reason. After writing for ten hours (I write as a novelist and journalist and blogger = lots of writing) I have to get out of the house. And I also need to relax. Zen Walking Meditation gives you a fantastic break that also helps you to relax and clear your mind. Read my complete guide to Zen walking [tutorial]. You want to understand your character and get into their shoes. What better way than to completely clear your mind and focus 100% on your character. Just close your eyes and focus on your breathing for 10 minutes, then bring your character to mind. To be a little more specific, bring your character to mind in the way you would with a deity in Bhakti meditation. Read my guide to Bhakti meditation technique. Try these 8 mindful writing meditation exercises. When starting meditation, writers should spend at least ten minutes letting go of thoughts. Writing can help. Stream of consciousness writing (spontaneous and unguided writing) offers an opportunity to let all those thoughts and feelings come pouring out onto the page. This can be an immensely cathartic practice, and all it takes is ten minutes. Begin writing your thoughts. Whatever you think, you write. Remember, the key is to not judge the writing but rather to let it flow freely. Psychologists have proven that the ability to appreciate beauty is vital to happiness (*1). One of the ways to appreciate the beauty in the world is to write descriptions of it. Begin to write a realistic description of it. Perhaps there’s a beautiful flower with rich colours. If so, describe the colours. Maybe it’s a sound, like birdsong. If so, describe the tonality and melody. This mindful writing exercise trains the mind to recognise the beauty of every moment. This boosts happiness. And at the same time, it improves your still-life writing. One of the most important novel writing skills is the ability to accurately describe emotions. Usually we write about the emotions of our characters. But to improve this skill we can mindfully write about our own emotions. This is a type of mindfulness meditation. And not only will it improve your writing, it will strengthen your mind too. Mindfulness meditation involves non-judgmentally observing our thoughts and feelings. This has been scientifically proven to help control emotions (*4). There is a better way for writers to do this mindfulness exercise: by writing down our observations. Here’s how . Begin to mindfully write about those emotions by describing them. Your emotions will change while you write. Follow your emotions. As they change, write about how they are changing. It improves our ability to write about a character’s emotions and motivations. Another excellent mindfulness exercise is to consciously observe the sensations in the body. Imagine that consciousness is the character in a story. Chapter one begins with the character in the toes. From there, the character (consciousness) gradually journeys up the body all the way to the crown of the head. As the character moves, describe the sensations and experiences it comes across, the physical phenomena occurring in the body. 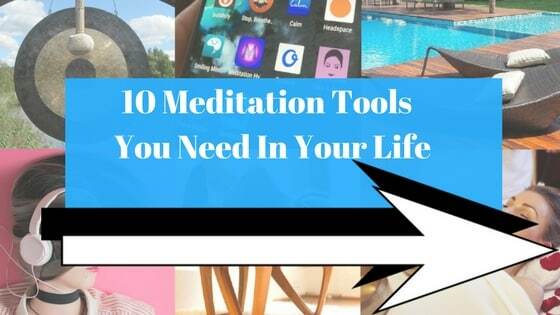 This is an alternative take on body scan meditation, which has been shown to help ground us, to help us to let go, to remove the stress of negative physical sensations, and to increase appreciation of the body. Another important area of mindfulness pertains to the way we observe our physical form. It is best to have a non-judgmental view of the body. This liberates us from any issue with body image, and makes us more accepting and more compassionate of the body. One of the best ways to create this state is by imagining we are a character in a story. To do this, we describe ourselves objectively, in a non-judgemental fashion. This improves self awareness. Plus, as an added bonus: by describing ourselves objectively we learn to write more detailed and more realistic characters. The key to using this writing prompt is to become conscious of light in an environment, and then write about how the light moves, the objects it comes into contact with, and how those objects change it. This writing prompt increases mindfulness of sight. As we follow the light throughout the room we become mindful of objects, of their shape, colour, texture, and all their visual qualities. In here excellent book The Creative Brain, Shelly Carson reveals that when we mindfully observe the visual make-up of our environment as we do in this exercise, we boost our creative powers and we become ore playful. Distractions are funny things. They’re only really distractions when we’re not fully conscious of them. If we’re at work but really texting, the text is a distraction because it is preventing us from being fully conscious of our work. But when we fully focus on texting (the distraction) it stops being a distraction and becomes a task that we are mindfully doing. We can take advantage of this by writing about those distractions. This makes us more conscious of how we are being distracted. After writing about the distractions, tear up the paper (or delete the text if typing), and throw it away, imagining that the distractions are being thrown away with it. This is one of the most enlightening mindful writing exercises. It is similar to stream of consciousness writing but with some important differences. The gist of it is to transcribe whatever runs through the mind. Not only do we write our thoughts, we write the quality of the thoughts, the loudness, the feelings of the thoughts, everything. The end result of this process will look something like a piece of modern art, an artistic expression of the mind. And the process of creating it will not just increase mindfulness, but will illustrate the mind in a way most people have never seen. This exercise has to be experienced to be believed. 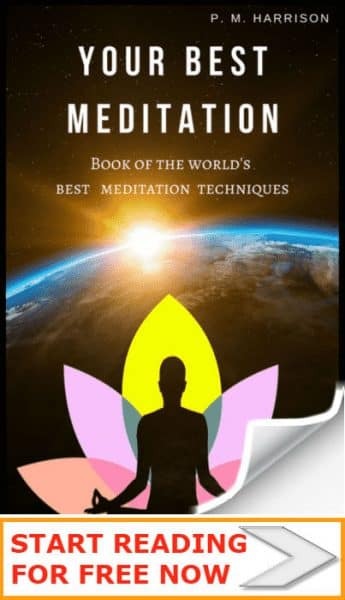 I have used these meditation techniques for many years and my creative writing has significantly improved as a result of them. There are, however, many more meditations for writers to learn. If you would like to overcome writer’s block, to unleash your imagination, and to take your writing to a new level, then you should definitely read my new book: Your Best Meditation. Meditation creates compassion, making you feel closer to your characters. It cuts out distractions so you can focus fully on your novel. It makes you more mindful, more aware. This helps with editing. It stops you from getting angry and smashing your keyboard. As writers, sometimes we need to reconnect with the present moment, to bring the mind back to now before we can continue writing.This is when mindful writing exercises come in handy. When we are consumed by thoughts, feelings, and other mental phenomena, we can use writing to pull ourselves back into the present moment. As a meditation teacher, author and journalist, I frequently use mindful writing meditation exercises. I spend approximately 30 percent of my waking life either writing or practicing various forms of meditation (along with yoga, Tai chi and other healing arts). And I’ve had the pleasure of teaching both practices to others. But what thrills me most is teaching mindfulness and writing side-by-side. Put together, these two pastimes create a powerful transformative experience that can boost both writing skills and mental health. Mindful writing exercises are great for both mindfulness and writing. And it a powerful way of improving both your writing skills and your mind. Of course you do not have to be a writer to use these techniques. They are great for everyone. Whether you’re a Buddhist, Christian, athetist, agnostic… unlike some meditations, these are universal. Mindfulness is an absolute gem for writers. Not only does it train the mind but it boosts our writing skills too. Whether you’re a professional novelist or an avid amateur writer, you can gain a lot from these mindful writing exercises. Incidentally, it’s not just writing, either. Meditation will also make you a better musician too.